Crimean author Jesper Stein has won the Harald Mogensen Award, which The Danish Criminal Academy is awarding for the best crime of the year. 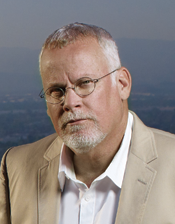 The prize goes to Stein's Crimea novel "Solo", which is the sixth volume in his popular and critically acclaimed crime scene with police officer Axel Steen as the protagonist. The Danish Criminal Academy's debut award goes this year to Søren Sveistrup for the thriller novel "Kastanjemanden" (The Chestnut Man) Søren Sveistrup has also been the creator and author of, among other things, three seasons of "The Crime". Both "Solo" and "The Crime" have been published by Politikens Forlag. 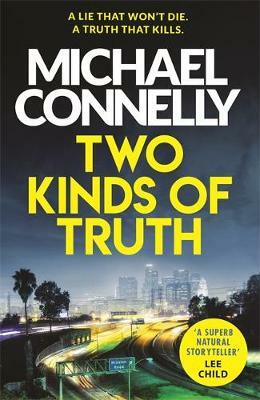 Finally, the Academy has awarded the American writer Michael Connelly the so-called Palle Rosenkrantz Award for this year's best foreign thriller novel for his book "Two Kinds of Truth" which is published by Klim. The Palle Rosenkrantz Prisen recognizes the best crime fiction novel published in Danish. It is named in honour of Palle Rosenkrantz (1867-1941), who is considered the first Danish crime fiction author; his novel Mordet i Vestermarie (Murder in Vestermarie) was published in 1902. The Harald Mogensen Prisen recognizes the best thriller. It is named after Harald Mogensen (1912-2002), a Danish editor, in recognition of his contribution to the field of literary crime.